Today, I stumbled upon a great article on Entity Framework performance gotchas and ways to make stuff faster. 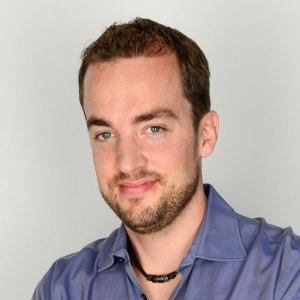 The article is from Ben Emmet, a technical project manager at Redgate (http://www.red-gate.com/). This blog post has two parts. Part 1, provides an index-style summary of two great articles on EF performance optimizations and part 2 introduces two lightweight tools that I often use when looking at EF performance issues, ExpressProfiler and LINQPad. The article was published in the “technical journal and community hub from Redgate” which is called Simple Talk and prospers at https://www.simple-talk.com/. Check it out, it is a huge library of deep technical but easy to understand articles around Sql Server, .NET, Azure and SysAdmin duties, written by industry experts. It is a rather long piece of work and I like how it starts with the more obvious pitfalls such as messed up LINQ queries (loading too much data, filtering in memory) and then goes into deep details on indexes, execution plans and execution plan caching. The article shows lots of screenshots from ANTS Performance Profiler (http://www.red-gate.com/products/dotnet-development/ants-performance-profiler) that help you in identifying the problem in the first place. I provide an index-style list. Dive in if you discover not-yet-known topics. It’s worth it! The article tackles the issues listed above and analyzes their performance impact for versions 4, 5 and 6 of Entity Framework. While I am talking about EF, I would like to mention some tools that can be very helpful when analyzing EF performance. 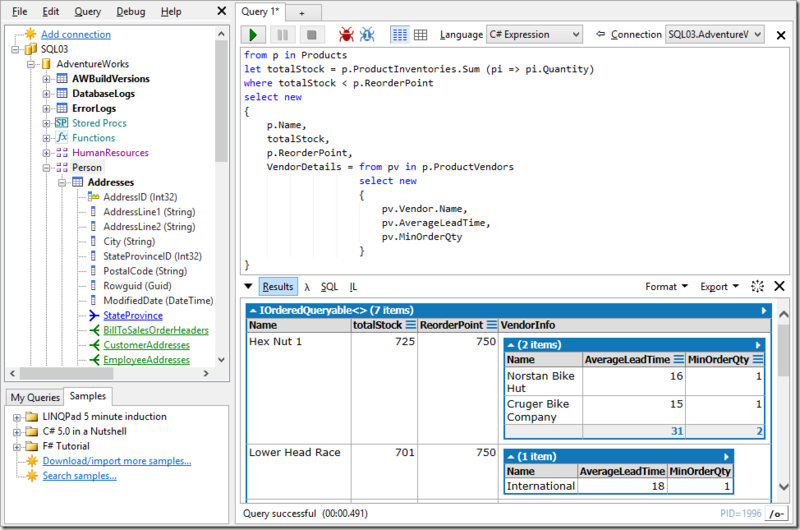 The obvious tools are a .NET performance profiler and/or a profiler for Sql Server queries. Very often, you are facing a challenging performance problem related to Sql Server query performance and you are missing the tooling. Either because you are not allowed to install anything on the machine or you don’t have a profiling tool available. If you are interested in the SQL queries that are sent to the server, ExpressProfiler comes to the rescue. It is a super lightweight application that lets you record the sql statements sent to an Sql Server database. And by super lightweight, I mean SUPER lightweight. It is as small as around 150 kilobytes and does not need any installation. Go get it now, it’s free and it’s great! LINQPad (http://www.linqpad.net/) is another great tool that I use very often. It is a scratch pad for LINQ statements. Start it, connect to a DB, write a LINQ statement and immediately get the results. You cannot be any faster than this. It is lightweight (8MB), fast and the trial is free. However, I recommend to get the full version in order to have complete Visual Studio like intellisense. Paid versions are between USD 45 and USD 85 for a single user. I often use LINQPad to fiddle around until I find the perfect LINQ statement to solve my problem, before I add it to my Visual Studio Project. 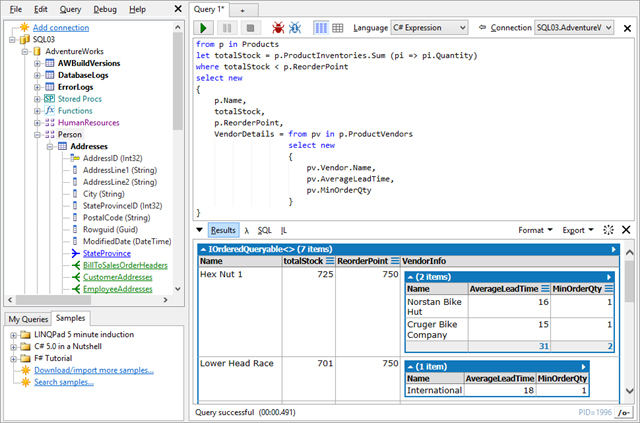 LINQPad will show you the results, the execution time and the entire SQL statement.